My sixth volume of poetry is titled “This Moment“, and it features 100 poems from different stages in my life. Steven R. Drennon is a true romantic. He sees the world only as a poet can. In this book he talks about true love, marriage, loneliness, regrets, longing and dreams realized. 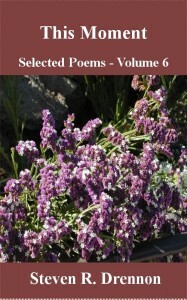 The poems have a comforting rhythm and seem the most complex of all his poems. 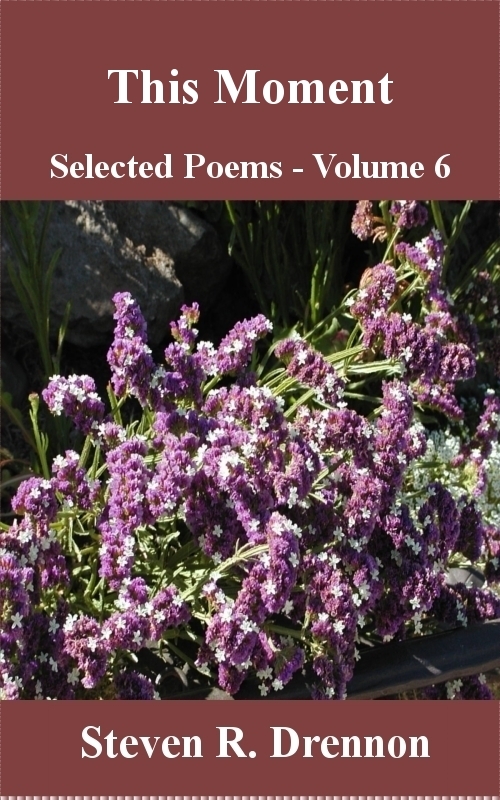 In these poems he tells stories of how he has broken hearts and how his heart has been broken. You will related to his poems filled with images of being in love and losing love. There are some interesting poems about apple orchards and women who carry with them a mysterious fragrance. This is the sixth and final book in the series. I am happy I found this poet’s work as I’ve really enjoyed reading his poems. I SEARCH . . . HE GAVE US . . .
DO YOU STILL BELIEVE IN FOREVER?